3D-Printed Food: Curious Cuisine or Fleeting Fad? Food and technology have a long and sometimes strained relationship. On one hand, harnessing fire led to human evolution. But other technologies, from frivolous “unitasker” gadgets to overprocessed and nutritionally bereft convenience foods, have offered much less in the way of benefits. 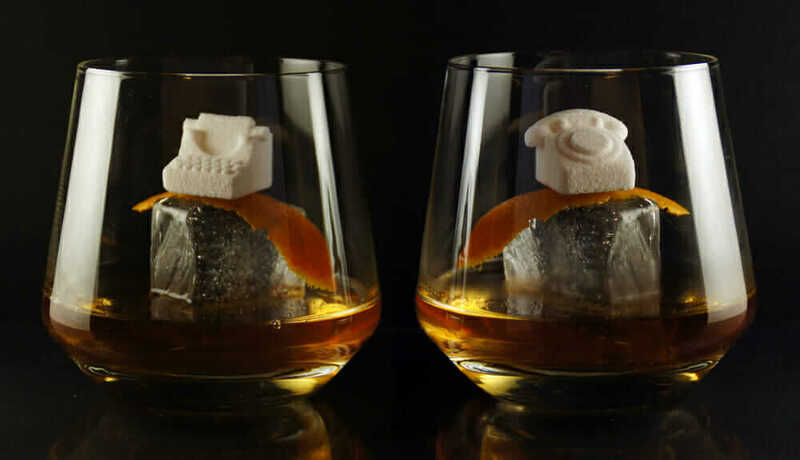 Now, a new technology is targeting the palate: 3D-printed food. If the plethora of new companies, products, and conferences focusing on this emerging technology is any indication, 3D food printing appears to be coming of age. It comes in many forms: combining ingredients in new ways to save time, modifying food for a specific nutritional purpose, or even printing cultured cells to create synthetic meat products. Printing methods include extrusion, binder jetting, and powder-bed fusion. The final product may be finished in an oven, or cooking could be part of a continuous process. Still, it remains to be seen whether this is a passing trend or a more permanent shift. One new 3D-printed-food company is BeeHex, Inc., which launched its pizza printer at SXSW 2016. But BeeHex isn’t simply a wild whim; it’s the result of some big brains thinking differently about food production. Cofounder and CEO Anjan Contractor received a NASA grant in 2013 and built the agency’s first pizza-printing robot for astronauts. 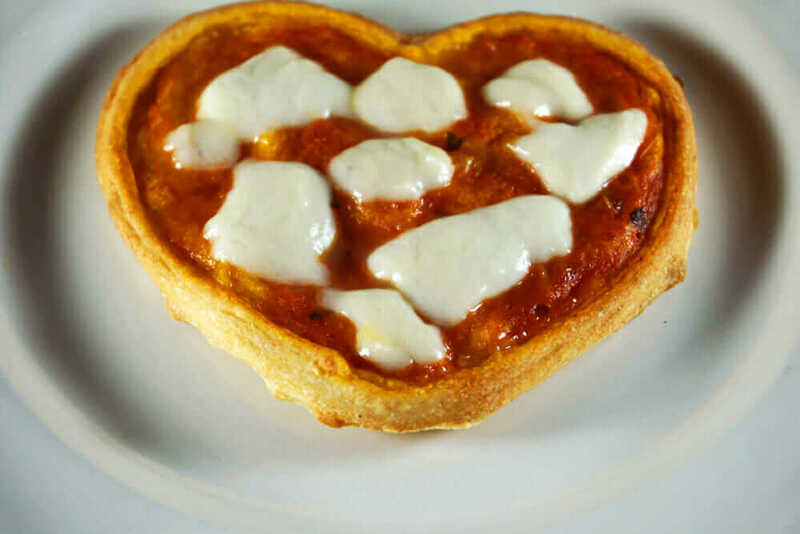 BeeHex’s 3D-printed pizza. Courtesy BeeHex, Inc.
Not surprisingly, much of the current interest in 3D food printing came first from the maker community, where Jason Mosbrucker and former Autodesk Artist in Residence Luis Rodriguez took their early steps with the technology. They now host the 3Digital Cooks podcast. A glimpse of Luis Rodriguez’s work as an Autodesk Artist in Residence. Courtesy 3Digital Cooks. “3Digital Cooks is a studio dedicated to creating new food experiences through 3D food printing,” Mosbrucker says. “We focus only on what is available now for the digital cook to use at home, as we want to keep it honest, open, and inviting in the hopes to get more people to join us on this 3D-food-printing journey.” Mosbrucker and Rodriguez also publish recipes on their website and host workshops on how to begin with 3D food printing. 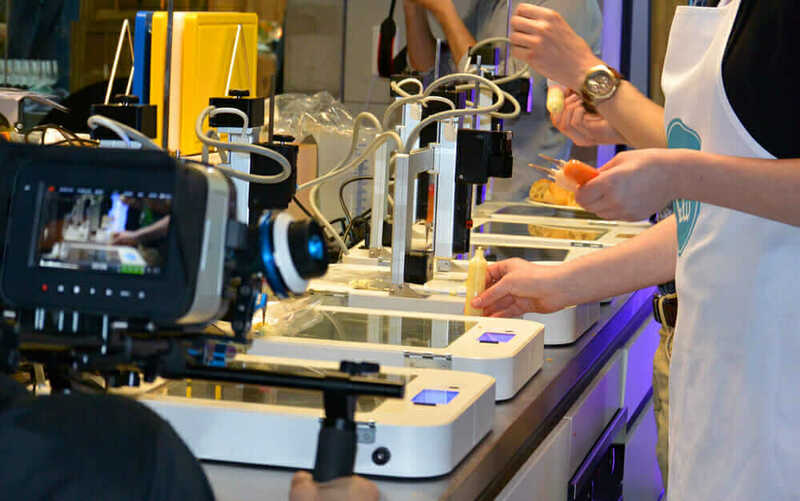 The duo collaborated online for almost a year before finally meeting in person at 2015’s inaugural 3D Food Printing Conference in Venlo, The Netherlands. The conference showcases the wide spectrum of topics addressable under the 3D-printed-food umbrella. The 2016 conference culminated with a 3D-printed meal prepared by byFlow. The menu included air caviar, mystic prawns, and more. Presentations throughout the daylong event covered tackling obesity, addressing food security, and using 3D printing in large-scale industrial food production. The byFlow printers prepare the culminating meal at the 2016 3D Food Printing Conference. Courtesy Jakajima. Conference presenter Julian Sing, from food-printing company 3dChef, adds a word of caution to hype surrounding this new medium: “Saying we can now print you something in food is not enough.” Instead, Sing is keen to find the long-term added value the technology can bring in areas of consistency, efficiency, customization, and education regarding eating habits. Baking is an area well explored by Dr. Kjeld van Bommel, a senior research scientist at independent contract research institution TNO in the Netherlands. Speaking in Venlo, van Bommel explained that texture is a crucial part of TNO’s research on 3D-printed food. With 3D printing, different structures, such as honeycombs, are possible. By creating such structures, 3D-printed food can mimic the eating experience of regular foods. This research will characterize the next generation of printers. The goal is to have control over all textural aspects, from baking to storage. Sonia Holland, a PhD student at the University of Nottingham, is also researching 3D food printing. Holland’s work focuses on cellulose, which is organic material that results in feelings of satiety (fullness) when eaten but is indigestible so has no caloric impact. However, cellulose in its natural form is difficult to incorporate into food and therefore a tough sell to consumers. Holland is investigating the use of ball milling to break down the cellulose into a manageable form that can be 3D printed to create palatable objects. Applications may include new diet foods that leave consumers feeling full and less prone to snacking. As interesting or beneficial to world diets as those innovations may be, more traditional foods often attract the most attention. Chocolate, in particular, has received intense scrutiny from the 3D-food-printing community—for one, it’s difficult to work with, earning the title “drama queen” from 3Digital Cooks’ Mosbrucker. An example of 3dChef’s 3D-printed confections with intricate details. Courtesy 3dChef. The difficulty is due to tempering—the process by which chocolate gains its shine; texture; and, to an extent, taste. Successfully and consistently 3D printing correctly tempered chocolate might be the holy grail of major companies, Sing suggests. Looking to the future, Mosbrucker envisions “wearables talking to your refrigerator, which then talks to your oven, which then talks to your 3D food printer,” resulting in a nutritionally optimized meal ready to eat upon waking up or returning home from work. Other ideas include 3D printing food for humanitarian assistance in remote areas. Given the vast possibilities within this field, from disaster relief to hospitality-industry applications, it’s hopeful that 3D printing and food are set for a long, harmonious relationship.